Spelling & Letters & Sounds: We will be continuing with the Letters & Sounds programme. We will be learning how to apply phonic knowledge to read and write words. Individual spelling words will be sent home shortly and we ask that you support your child through learning their weekly spelling and tricky words. We will test the children for spelling every Friday. Your support is very much needed and appreciated. Writing: In our class we love to base our learning on topical picture books. This term we will be using the following stories to help the children write with greater independence: ‘Handa’s Surprise’ and ‘Handa’s Hen.’ We will rewrite stories, innovate stories and write for many different purposes in fun and exciting way. Reading: Please could your children bring their reading book to school every day to maximise reading opportunities. Folders will be sent home every day. Reading with your child is so important in helping to foster a love of books. We encourage the children to read a little every day. They do not need to read the whole book, a couple of pages is sometimes enough. Remember to ask your child questions such as what they think might happen next and what they like about the story. Please sign your child’s reading record book when they read to you. If you have access to the internet, please encourage your child to make good use of Bug Club, the online reading world which they are already familiar with. The children will have the opportunity to explore a range of activities in Numeracy, with emphasis on using Numicon. This term the topics will include: writing number to 20 and beyond, finding 1/2 more/1/2 less than a given number, counting to 100, odd and even numbers, doubling and halving, counting in 2’s,5’s and 10’s, addition and subtraction. We will play lots of fun, hands on games to develop skills and confidence. We love our Class Dojos and this will continue in Year 1. We will choose a class dojo champion at the end of every week to reward good behaviour and excellent learning as well as a Star of the Week for outstanding work. In order to have the opportunity to cook and bake lots of exciting foods, we ask for your kind contribution of £2.50 per term towards our ingredients. The children will develop their ICT Skills, making use of the class i-pads and computers. We will also visit the ICT Suite in the Juniors, once a week. Children will explore Bug club and the Hwb network with the many programmes it offers. 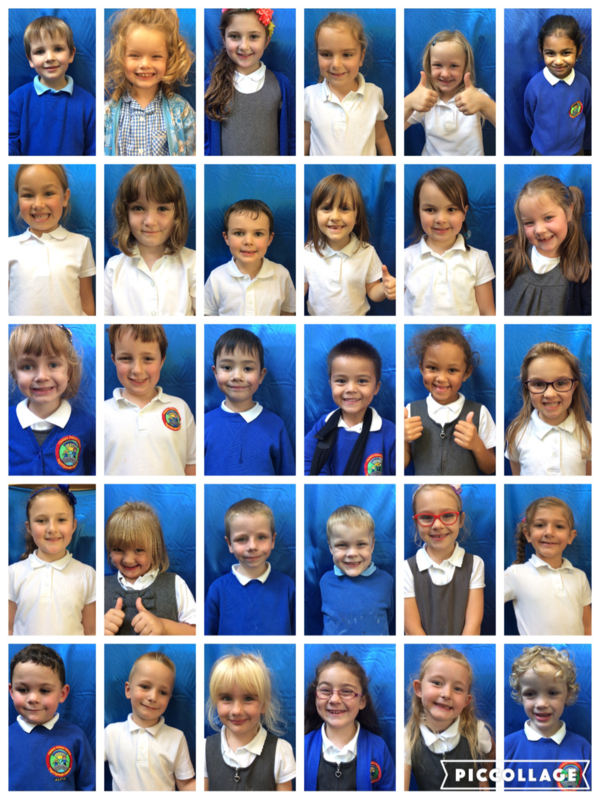 Please take a look at our Class Blog to see what we are up to and feel free to leave a comment. Thank you in anticipation for all your help and if you have any queries, please do not hesitate to contact me.